This is one of my son’s absolute favorite toys that is perfect for an Easter basket! 1-year old’s can’t get enough of keys, but they’re so over the big plastic ones. This set of keys is amazing. It actually feels like real keys and even has beeper buttons and a flashlight! This was one of the biggest 1st year hits for my son! I bought this cup last week and I can not emphasize enough what a lifesaver it has been. It’s possible I’m the last mom in the world to utilize this brilliantly engineered product, but if you’re late to the game too, then get this for YOUR OWN Easter basket! It’s simple and brilliant – your child can hold the cup, reach in to get a goldfish or cereal, but the snack can’t fall out of the cup. No more mess! Thank you! As far as Easter basket ideas for 1-year old boys go, Pat the Bunny might be the best idea yet. First off, it’s a book, which just feels great! Second, it’s about a bunny…could there be a better time for this? But most importantly, this classic book is unbelievably interactive, so your little guy is sure to fall in love! We have actually gone through multiple copies of this book in our home because it is so loved. This was a gift for my son a while ago, but he has just fallen in love with it in the last few months. It’s so easy for him to use, easily folds up so I can throw it in the diaper bag, and has a weighted straw so he can always get to the bottom of his cup. 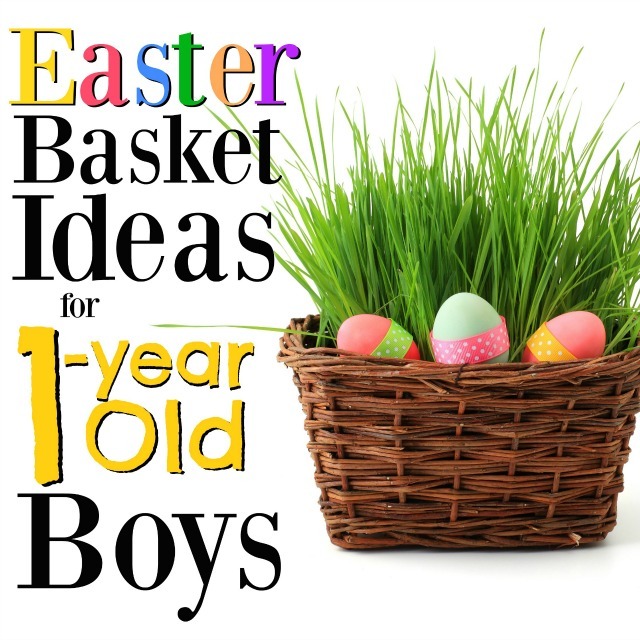 And, of course, it’s adorable, so it’s a perfect Easter basket idea for 1-year old boys. What would a good wholesome Easter basket be without some educational books?? Luckily my son absolutely loves books, so this is a no-brainer for me. He absolutely loves the I Love You Through and Through Series (we already own I Love You Through And Through , How Do I Love You? , and Ten Tiny Toes ), so I’m considering Twinkle, Twinkle, Little Star or Goodnight, I Love You . If you don’t have any of these, definitely get them! They are all board books, so they can’t be ripped and the images really excite him. This was the first little trinket to pop into my head, for two reasons – 1) He LOVES little figurines right now. He is always walking around the house clutching them in his hands. And 2) It just seems perfectly Easter basket-ish. My son is obsessed with Daniel Tiger right now, but he already has each of those characters , so I’m most likely going get him some Sesame Street characters or possible Curious George. He’s becoming a fan of those shows (6am wake-up call = Sesame Street while I get it together), so they’re next on my list! Bath time is a big deal for my son. He has a slew of bath toys that he loves to play with and he just seems to love the water. For us, bath time can also take up a fair amount of time so it’s a lifesaver on rainy days or when we don’t have other activities planned. He already has some amazing toys that I would highly recommend if you don’t already own – he holds Bath Buddy Wayne in his arms for almost the entire bath while he plays with his basketball set and animal bath stickers . What I plan to add to his Easter basket are some bath crayons ! I’ve heard great things about these, so I’m really excited. I write about these magnets ALL the time. We have them on our trash can and my son absolutely loves them. They are one of the few activities that has persevered through all of his stages. Whether you put them on your fridge or trashcan like we did, make sure they are toddler safe. The magnet needs to be large – not something that can be swallowed. Here are the ones that we use and love – Small World Toys Ryan’s Room Stick Em Magnets . Ok, maybe my son just has some oddball interests, but he LOVES cleaning devices. His obsession with our Dyson vacuum has already led to his own miniature version and now he can’t get enough of our broom. Unfortunately, it’s just way too long and heavy for him, so I’m planning on getting him his own broom set . At some point I realize shoes will not be an exciting gift, but right now my son loves his shoes! He will find them for me every morning and bring them to me so I can put them on his feet. I am a huge fan of Robeez , so I definitely recommend them for anyone that doesn’t have a pair. They have really fun designs with lots of animals and other exciting things and are perfect for children that are just starting to walk. Once they become big-time walkers though, you really need to look into sturdier shoes. My choice for the Easter basket is going to be a pair of baby Toms !! 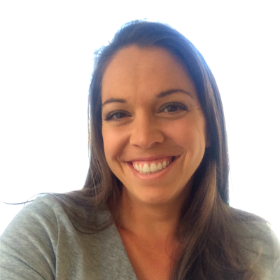 I’m so excited – my husband and I both love our own Toms so it only seems natural that our son should have a pair. Happy Easter and good luck with your shopping! Let me know if you have any other great gift ideas! Love these idea. I’m still trying to figure out what I want to do for my daughter easter basket. Since she will only be 5 and had months. I love this list! 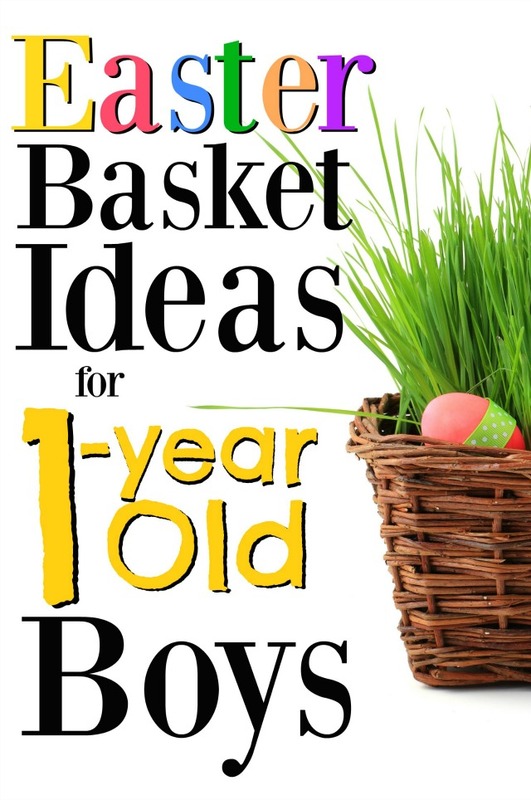 I was looking for ideas for my one year olds basket.